It's never too early for children to enjoy the benefits of a sensory table. 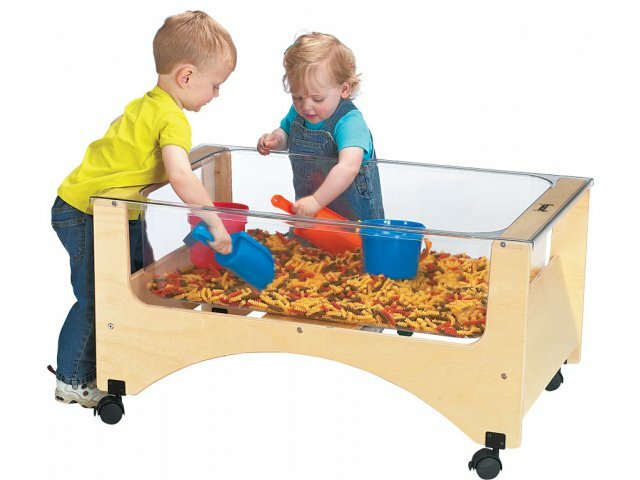 The toddlers in your daycare center are sure to benefit from the skill-building fun of a sand-and-water table. 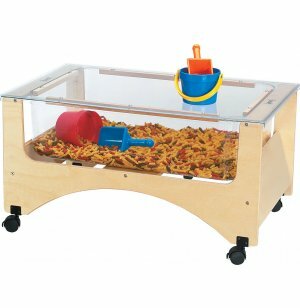 Sand-and-Water tables encourage little ones to explore textures and physical properties while honing their fine-motor skills. 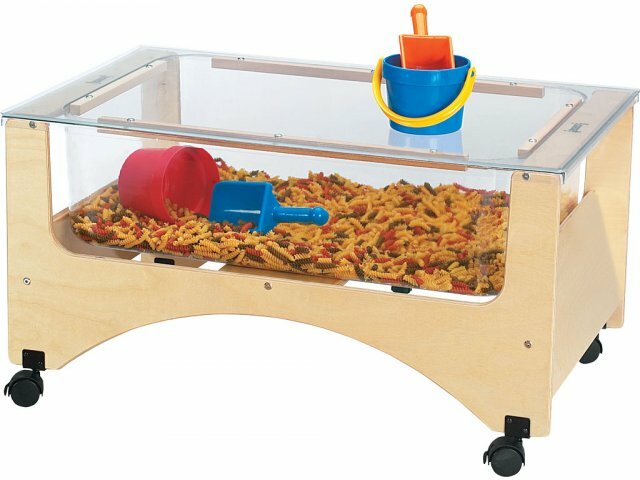 These see-through sensory tables let children experience different materials with a full view of how they shift and move. The clear, 9"-deep acrylic tub can be filled with water, sand, rice, cereal, marbles and more. When playtime is over, an acrylic cover can be placed on the tub to ensure that nothing will fall in by accident. These sensory tables are designed to fit through doorways and roll to their destination on locking casters. A Baltic Birch frame with fully-rounded edges and a tough easy-to-clean finish provides excellent support to the tub for many years of educational fun. Splash Control: The 9"-deep clear acrylic tub prevent materials from spilling over the sides. Complete Package: Includes a see-through acrylic cover and a drain with a valve. Durable Construction: Frames are constructed from Baltic Birch using tough dowel-and-pin construction. Easy Cleaning: An extra-tough finish makes it easy to wipe tables down to remove dirt or drawings. Portable: Tables roll into position on locking casters.